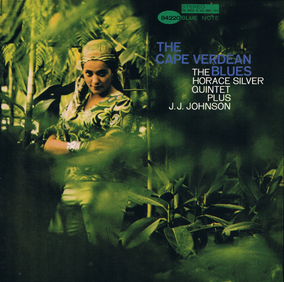 Two of the most dominant and successful hard bop groups of the 1950s were Art Blakey and the Jazz Messengers and the Horace Silver Quintet. One wasn't better than the other. Their differences were a matter of flavors and hues. Blakey's group tended to be mightier and bluesier. Silver was funkier and more lyrical, largely because he composed and arranged many of the songs with his jaunty bop feel. 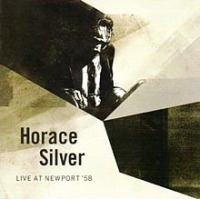 Of Silver's vast catalog of exceptional albums, Horace-Scope has always been a cut above in terms of its flawless execution, bright writing and warm instrumental choreography. 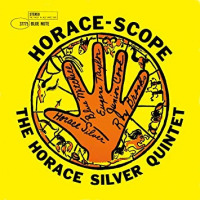 Recorded on July 8 and 9, 1960 at Rudy van Gelder's studio in Englewood Cliffs, N.J., Horace-Scope featured Blue Mitchell (tp), Junior Cook (ts), Horace Silver (p), Gene Taylor (b) and Roy Brooks (d). The track list included the plucky mid-tempo Strollin', the bouncy Where You At?, the ballad Without You, the upbeat Horace-Scope, the minor-major glider Yeah!, the cakewalk-y blues Me and My Baby and the barn burner Nica's Dream. When I interviewed Rudy Van Gelder in 2012 for the Wall Street Journal, I brought with me just one CD—Rudy's remastered Horace-Scope. And when Rudy and I were done with the interview, I asked him if we could listen to a track off the album. Rudy obliged. In short order, out of those astonishing monitor speakers in the booth leapt Strolln'. As the song played, I stared out into the studio through the glass, imagining the music being created live in the sauna-like wood setting of Rudy's room with its cathedral ceilings. Turning to Rudy, I raised my eyebrows twice. He seemed nonplussed—as if I had forced a baker to eat one more eclair. As I recall, he smiled and said something like, All in a day's work." Nevertheless, I think of Rudy every time I listen to Horace-Scope and how he managed to capture all of the energy and fire of such perfection with his magically placed microphones. 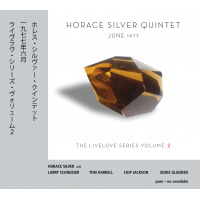 Horace Silver died in 2014; Rudy Van Gelder died in 2016. 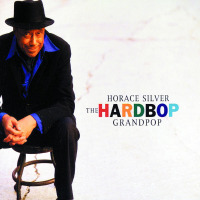 JazzWax tracks: You'll find Horace Silver's Horace-Scope here or at Spotify.